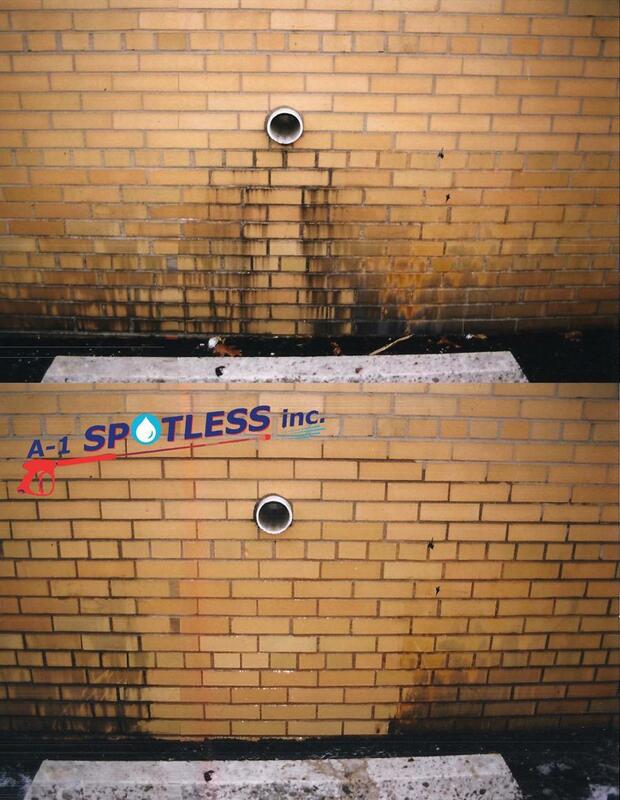 Power Washing Graffiti Removal NJ Middlesex Somerset Union - A-1 Spotless Inc.
It’s bad enough that your building and property take a beating year round from foot traffic and nature. Unfortunately you also have to worry about vandals “tagging” your property. Left unchecked, it tarnishes your company, demoralizes your employees and neighbors, and lowers your property value. Fortunately we can do something about that. 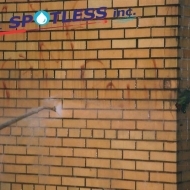 Graffiti removal from brick, concrete, etc. 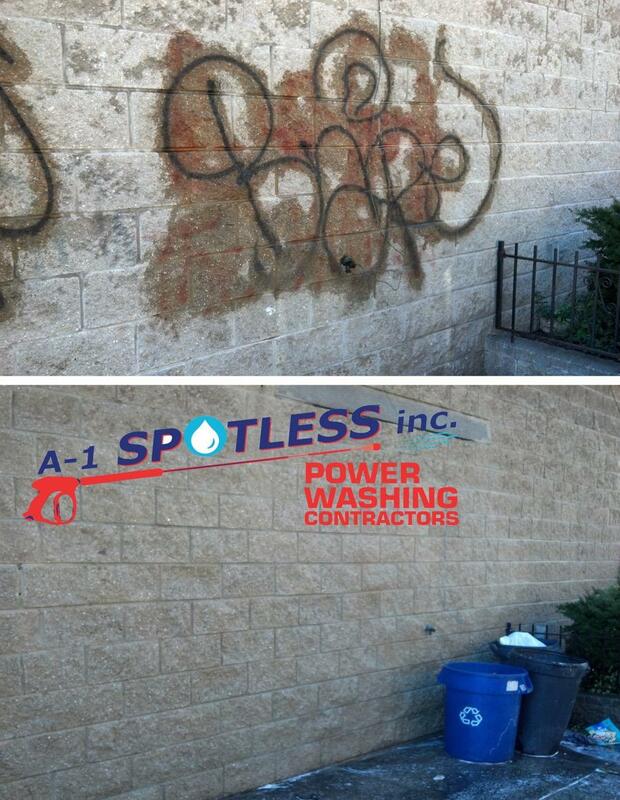 A-1 Spotless Inc. are experts at power washing graffiti and have served customers throughout New Jersey and the Tri-State area. Since 1989, businesses have trusted our team of professionals to maintain their properties. We are reliable, we have professional equipment, and we’ll take the utmost care of your facility and property. 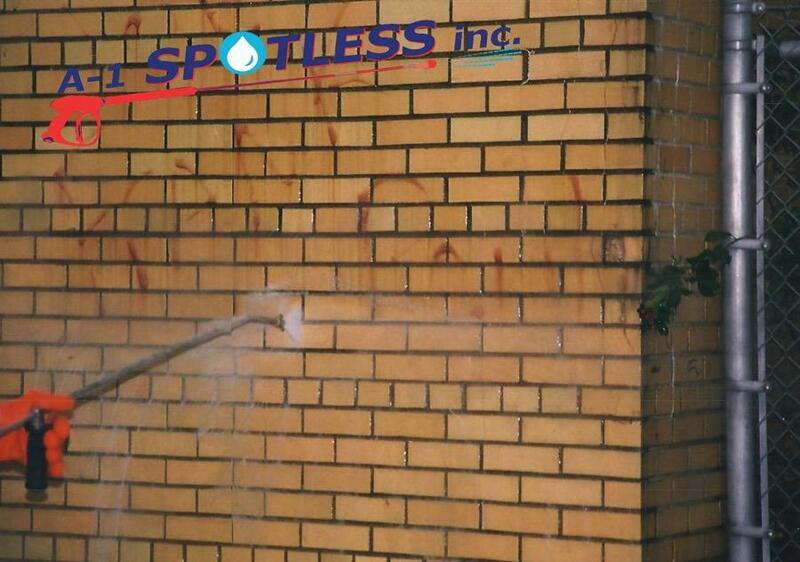 Leave the unpleasant task of power washing graffiti from your building or warehouse to the professionals. Our team is trained and experienced. We’ll keep the job site clean. We’re fully licensed and insured, and commit to doing the job right within the agreed timeframe. 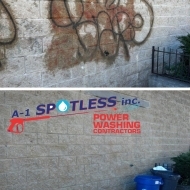 Looking for a graffiti removal company? 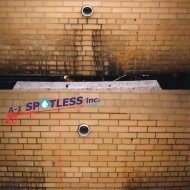 We’ll clean your building’s exterior, roof, gutters, driveway, parking lot, sidewalks, dumpster areas, etc. We can also help you with handyman services, painting and snow removal. No job is too small.